A brand-new production of Rudyard Kipling’s children’s classic. 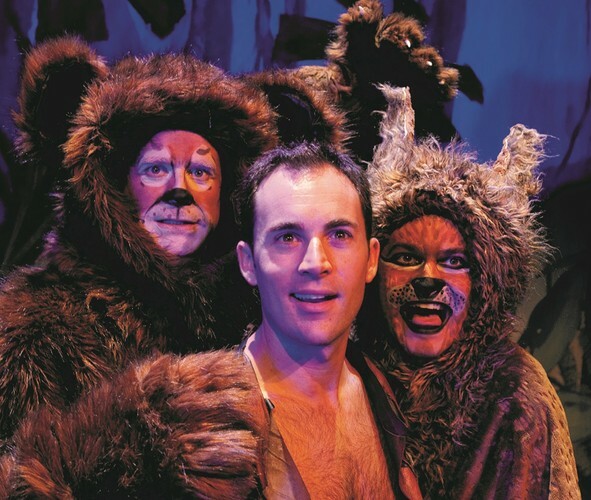 A fun-filled, energetic musical adventure that invites the audience to join in the action when Baloo the bear and Mowgli, the young orphan boy raised in the jungle by wolves meet again several years after Mowgli has left the jungle. Together, through a concert style-show full of original songs, interactive fun and multimedia, they bring to life Mowgli’s exciting escapades growing up in the jungle with Bagheera the black panther, Kaa the python, Shere Kahn the tiger, the cheeky Monkeys and the Jackal. Adapted by Glenn Elston with music by Paul Norton.